Friends, I can’t say how very proud I am of all the growth The Mom of the Year has experienced in the past year. And NONE of it would have happened without my tremendous team behind me. I’m so thankful for these ladies, these fellow mommas in the trenches who are walking this road with me, and I’m so very, very grateful to Grand Lux Cafe for hosting us for our annual work holiday party! I can’t say what a perfect place Grand Lux is for hosting your work holiday party! 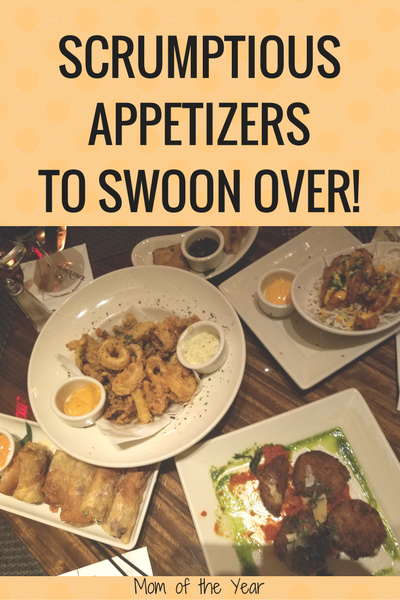 From their artisan drinks to their scrumptious desserts, and all the appetizers and main courses in between, their menu is far robust enough to entertain the most diverse of tastes. The staff is so very friendly and accommodating–perfect for a celebratory evening of delivering extra attention and making your team feel as super-special as they truly are! Grand Lux Cafe’s menu and mission well matches this goal of treating your staff with extraordinary care. The expansiveness of the menu is impressive, and I love how every dish can be custom-ordered to preference. 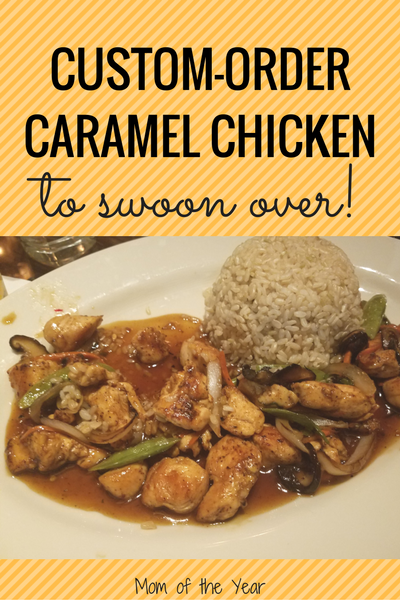 For example, I was crushing on the signature Crispy Caramel Chicken, but was wary of the “crispy” part. With my touchy digestion, I have learned that fried foods aren’t my dearest friends. I mentioned this concern to our waitress and voila! She offered to whip up a sauteed version of the dish, and there it was! A tummy-friendly chicken dish with all the swoon-worthy flavor. Even with the best of menus on hand to please all palates, work holidays can feel like intimidating events, but true story–they don’t have to be! Pick the right location. Trust me, this matters! If you have any say in the matter, make sure to select a friendly locale that is welcoming, heavy on the yummy bites and delcious beverages, and you will be good to go. 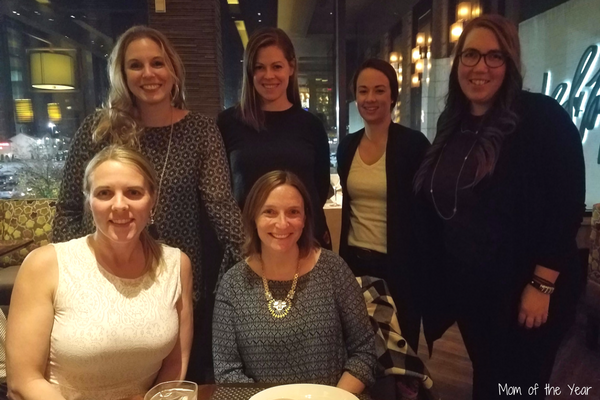 No need to fuss or worry over finding a traditional “party” spot–Grand Lux Cafe was more than happy to accommodate our large party reservation and provide all that we needed–food, drinks, and together time! Keep it casual. Listen, I know the temptation to fright and fret over the perfect outfit is real, but just chill. Everyone else has the same concerns, and truth told, the only thing that matters is that you are there and having fun. Look at it this way–anything other than yoga pants is a win! 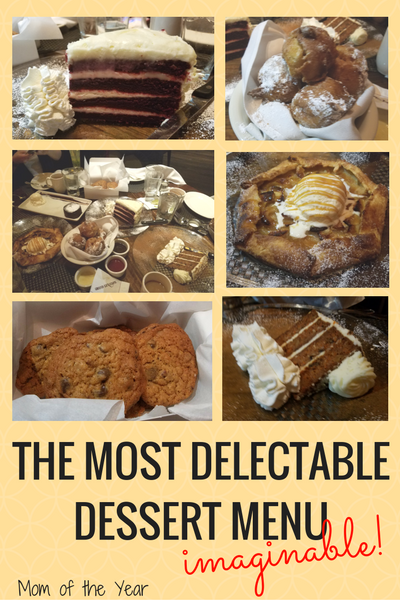 Allot the calories. Here’s the thing–you’re going to exceed your calorie limit this season. If it’s for a work holiday party? Consider it a business expense and don’t beat yourself up for it! Stop stressing over each bite and try to just eat sensibly and keep it in reasonable check (maybe don’t eat the whole cheesecake 😉 ) If you are really watching your diet, go light the day before, the day of, and the day after, and while you’re there, nosh and enjoy, knowing you’ll sort your calorie budget in the long run. TALK to people. I know, I know. It’s easy and tempting to turtle down with your cozy glass of wine, maybe chat up the one fellow comrade you feel relaxed with, but…it’s time to yank yourself out of the hole, friends. Buck up and take the opportunity for a bit of networking and socializing. Chances are (and I speak from an introvert’s experience!) you’ll meet up with someone you genuinely enjoy chatting with and make a new friend. Either way, it’s worth the effort–consider it part of your job. Thank the host! As a co-host with Grand Lux Cafe for our work holiday party, it was so very nice to hear from our attendees how much they appreciated the event. It takes a lot of work to coordinate and plan these events, and a word of thanks for all the effort means a lot. Make sure to always express your gratitude and even consider bringing a small gift for the hostess as well. Very classy! 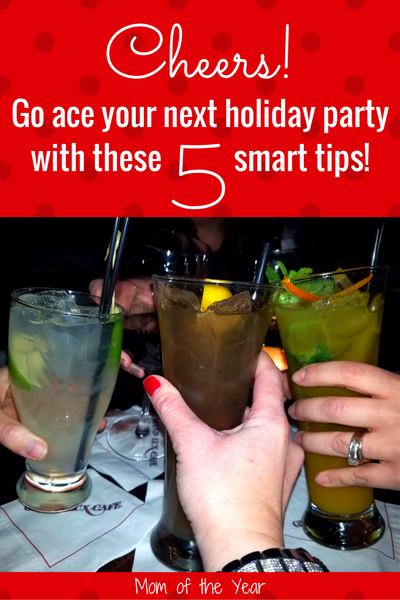 With these five smart tips in hand, you can ace even the most intimidating of all holiday parties. I think our The Mom of the Year work holiday party was comfortable for all in attendance, but well understand how employee events can feel a tad overwhelming. I’d love for you to snag these smarts and ace out your own holiday party scene this season. No need to fret when there is a genius way out of the fuss, right? And should you need to spin a special touch on your party night with a Special Guest App, don’t hesitate, friends! This can make such a cool, helpful difference! 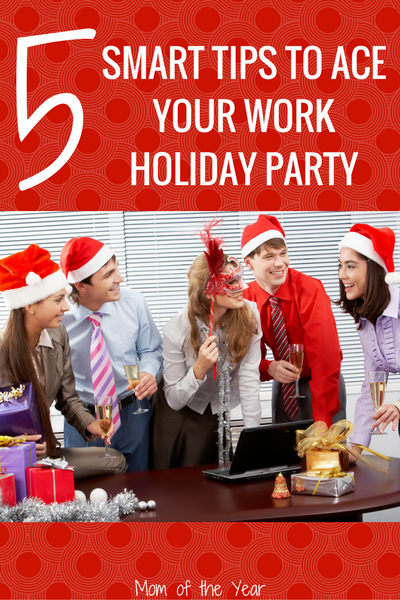 Grab these tips, keep it classy, and ace your work holiday party like a boss! Thanks, Janine! We did have so much fun. Hope you get to do something special to celebrate all your hard work this year too!